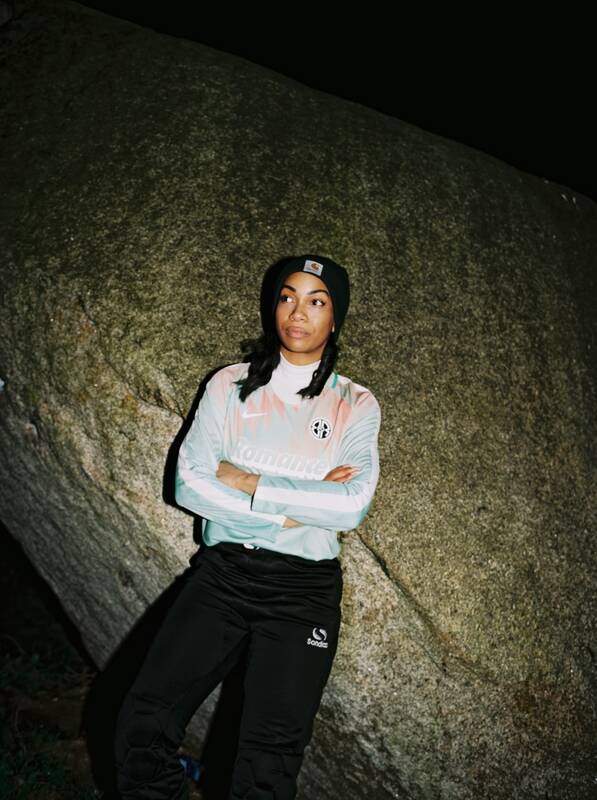 The London soccer collective is forging opportunities for creative women on and off the field. Their new Nike collaboration proves it. There’s a reason soccer is the most watched and played sport in the world. With straightforward rules, an embrace of players that come in all shapes and sizes, and an ability to play anywhere (without much equipment), it’s a comparably accessible game in the world of sports. And yet, whether in pastime or profession, women playing soccer experience exclusion and discouragement. Sexism in professional women’s soccer is heavily documented, from the gender wage gap, to pivotal moments in the sport not being covered by the media. Despite this, they are still playing together — many taking matters into their own hands and creating opportunities for themselves. What does that look like? Enter: Romance FC. 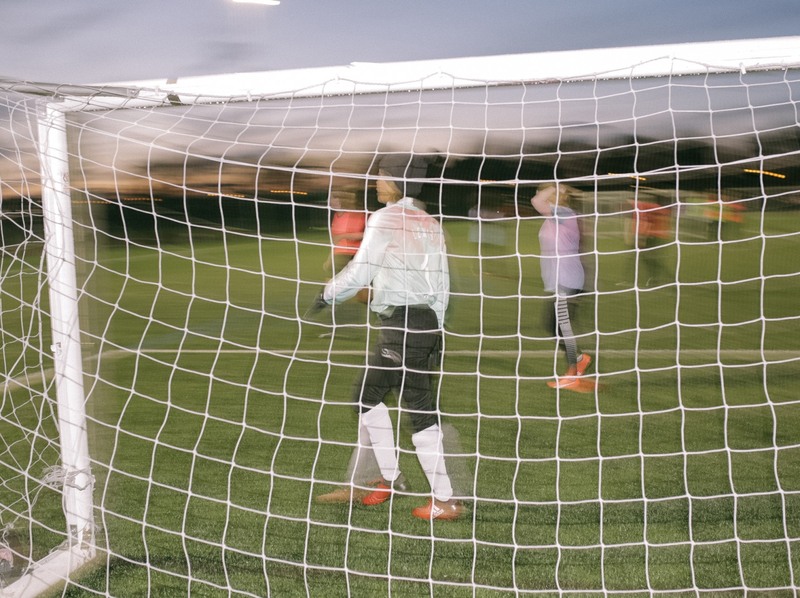 Every Sunday in London’s Seven Sisters neighborhood, and on Wednesdays just due south in Hackney Downs Park, the women who make up the Romance FC soccer team get together to practice. The group, an amalgam of creative professionals who make a living as designers, musicians, writers and more, have been at it since 2012. 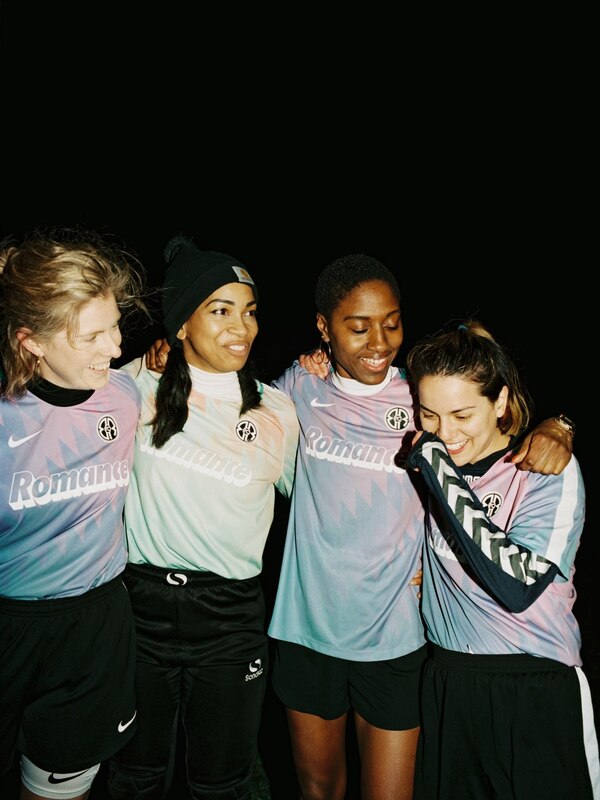 Formed around a network of friends who met through Boiler Room’s nightclub scene, Romance FC has spent the last six years using soccer to build community, develop careers, and bring women together in a way that challenges both the sports and creative industries they play roles in. And, those industries are taking notes — the collective’s recent collaboration with Nike is the proof. 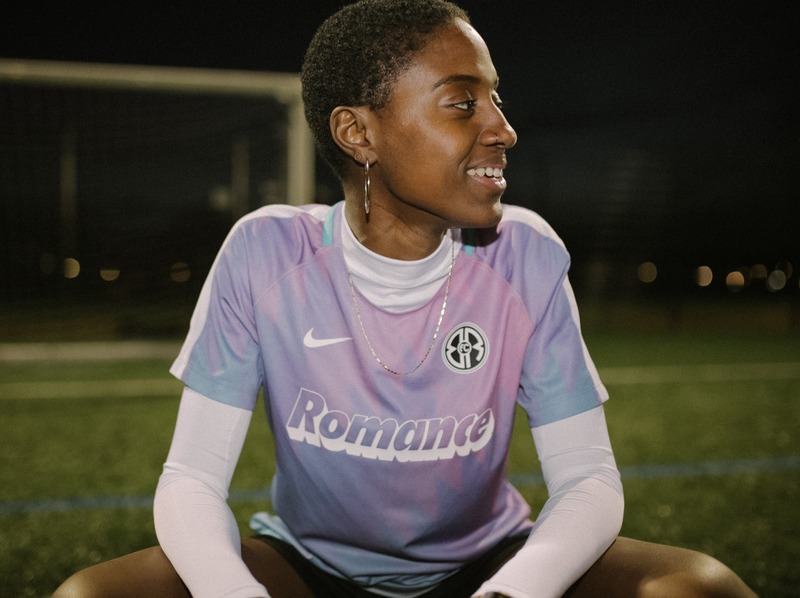 In March, we spoke with the team’s founder, lifelong athlete and freelance stylist Trisha Lewis, about what Romance FC means to her and its team members, how they’re changing the way women work and play together, and how their new, custom Nike kit—an example of what it literally looks like when women play soccer on their own terms—came to fruition. Can you tell me about yourself and how you got into soccer? I’m a freelance stylist, and I’ve been working in fashion for about 15 years. I’d always been involved in sport from a young age. Some of the parents [near me] ran a women’s football team and asked me to come along and play. Eventually I’d gotten to a point where [track and field] was getting really serious for me, and I stopped playing football and tried to pursue as far as I could go with [track and field], — the dream was to get to the Beijing Olympics. But sadly, I got injured and that put an end to all sporting for me, which was really tough because I felt like I didn’t have a plan B. I couldn’t find a way, so I worked full-time in retail. That’s how I ended up progressing into fashion and working my way up from doing display and floor plans and merchandising, and eventually styling. What’s the origin story of Romance FC? I’d moved to London just over 10 years ago. I found it really isolating because I was this small fish in the big pond going from work to home, and there wasn’t really any social element other than the nightclubs. I felt like there was a real disconnect in finding like-minded people where it wasn’t in a club or pub or somewhere like that. This was a time when Boiler Room had just started, and through mutual friends and music, we’d all go down to the early Boiler Room [events]. 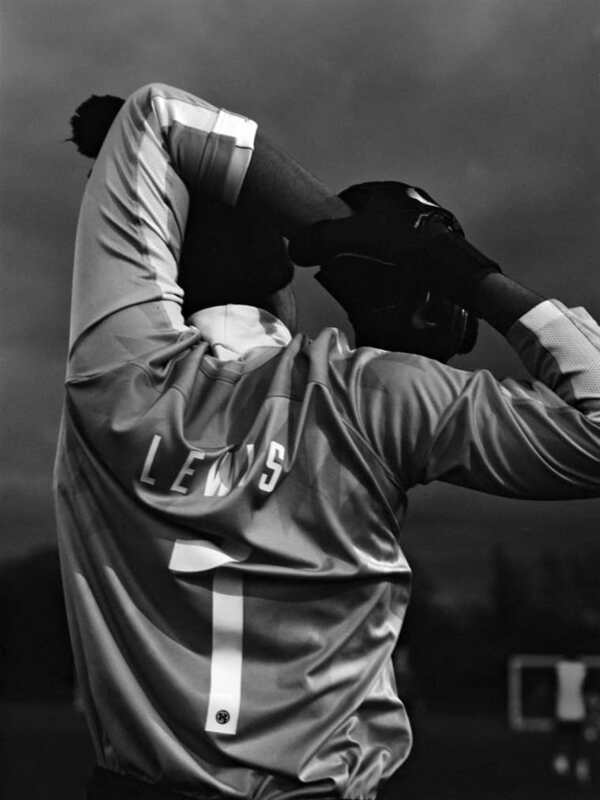 [Boiler Room] had set up a men’s football team, and they’d asked us [in 2012] if we’d be up for forming a women’s team. I couldn’t jump at the opportunity quick enough because I thought: This is exactly what I need. We had people who worked at record labels, magazines, writers, filmmakers — all sorts. We were all just kind of put in a park like, Right, let’s play football. It was a really funny, very memorable first session. We were all scrambling around in London Fields, one of the biggest parks in East London. Over time we moved location to play alongside the guys’ team. It built this really amazing community where there wasn’t any ego. It was just the fact that it was an open space, outside where you could run around, put your phone down, and just switch off for a couple of hours. That’s how it started, and it just grew from then on. Do all of the players have athletic backgrounds like you? No. I would say I’m one of the handful of people that come from a sporty background. 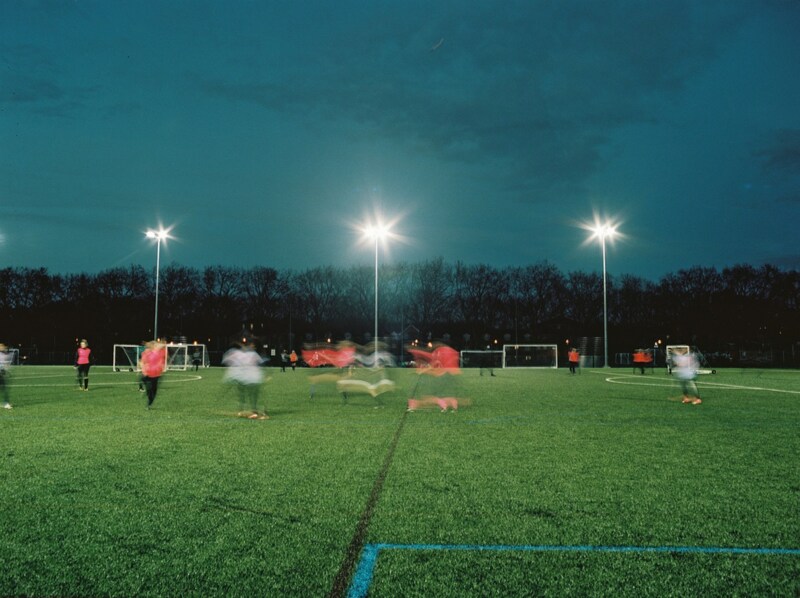 A few of the players had played 11-a-side football when they were younger, but had been put off of it because of the surroundings that 11-a-side football creates. It’s much more aggressive. Within the rankings of how you’re put through 11-a-side as a young girl, it’s very hard-hitting because you don’t play it for fun. It’s all to get to the professional stage. So, a lot of them dropped out of it at school age and then came across this team and started playing again, rekindled their love for it again. It’s great that we were able to provide [that opportunity]. On the other hand, [there are] people who’ve never played football or had an interest in football at all, but the community and the social element of it, and the fact that you’re still keeping fit and running around and meeting people — that’s what’s attracted them. Now, they’re some of the better players and hardest defenders. Are there more teams that have sprung up? Who are you playing against? We’ve definitely noticed from when we first started playing to now. Teams have cropped up and there’s a women’s league that’s now in its third season. When we first started playing football and wanted to start playing more competitively, I really struggled to find anywhere that would host a women’s 5-a-side league, because the majority of spaces were taken over by men’s teams. I was constantly just getting the same sort of responses: There’s not enough women’s teams interested, We’ve not got any space. We started thinking about setting up our own league, but needed a bit more background. Then, we started putting together Playing For Kicks, a women’s football tournament with the ethos for women, by women. We had been playing in a couple of tournaments and saw the gaps, the good, bad and the ugly, and that’s how we came up with the formula. We provided music, because it’s just nice to have something else to focus on, something good in the background, and not just people shouting or the sound of the ball smashing the side. It totally changes the dynamics of the tournament. When you have music it’s quite fun, and in between [matches] it makes the other teams engage — that’s one thing you don’t see enough of. If they get knocked out, they actually stay on to watch the other teams playing and start supporting them. What kinds of things are you organizing outside of the games and practices? We’re starting to open up our website as more of a blog space for players to talk about things that they’ve been going through, or any talking points they feel are necessary for other people to know about. 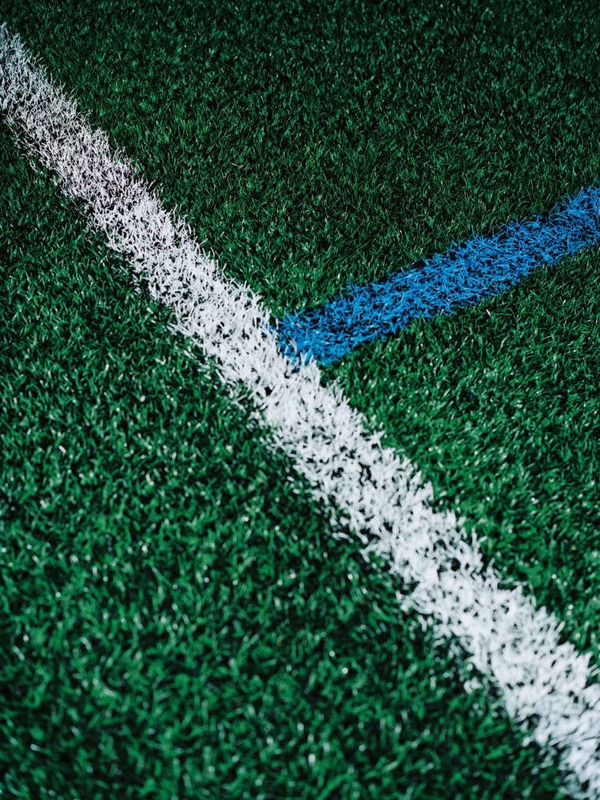 From something that’s upset you over social media, to a story that just doesn’t seem to sit well, to, [for example], our personal views on things like the [way in which the Football Association handled a recent case of racism]. Using our website social media to challenge those [things] and say, Actually no, that’s not what I got from that story at all —it’s really important to make those spaces available and to support other collectives. [We want] to continue with our panel discussions, A Little Less Conversation — taking those conversations that people are having behind the scenes or in WhatsApp groups and making safer spaces for them to be open about a lot of things. We just want to make sure that people are having conversations and not letting them eat away at you. What do you think it is about soccer that makes it such a good way to bring women together in this way? It’s a team game. This is the big difference that we’ve noticed. In the world of well-being and keeping fit, the difference with running or going to the gym is that those are solo events, where it is a lot of self-motivation. But with football, there’s more than one player. You all come together and help each other out. You have to be each other’s eyes and ears. You’re not there alone. If you’ve got the ball and you’re looking to pass to someone, more than likely you’re going to have two people there. Somebody’s got your back. That’s the big difference with football and how it brings people together. It’s a team game and you share the highs and lows. I think everybody’s very aware of how your mood dictates the whole game as well. A lot of the time when you’re feeling frustrated or you can see a player is not in the best space, there will be someone there to give you a bit of a pep talk .There’s that constant motivation, that constant back-up within your team. I can’t say it for everyone, but I definitely know that’s how we play. 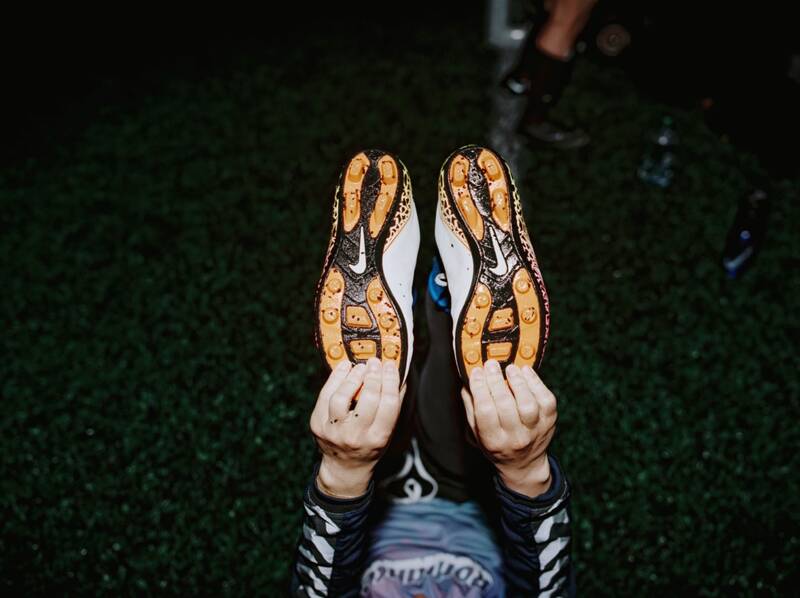 What one person does affects everybody on the pitch, and everybody is aware of that. Every coach or every sport has their own way of keeping teams motivated. Do you have any specific things you do to stay motivated as a group? Our Whatsapp group is definitely a huge motivation. Even when we’re not talking on the pitch, we’re talking off of the pitch. We’re engaging, we’re sharing stories, we’re talking about so many things, obscure or important, So, it’s not only that we’re meeting up once a week.That makes everybody’s relationships a lot closer. That then comes onto the pitch, and becomes a nice little catch up. We’ve got this whole other network. With a lot of freelancers as well, it’s been great for them because there’s always little jobs and things cropping up that we can help each other out with. How would you say the team’s mission or motivations have changed over the years? It went from just being football and little meetups to being more, where we really give each other a voice. We’ve almost become each other’s mentors. And how we’re cross-channeling our professions is helping us in other ways. [If] somebody needs help with doing a website, we’ve got someone there. [If] somebody needs help to do some copy or they’re writing a piece, or they may need to interview somebody within a specific line of work, they’ve got someone there. It’s been great how we’ve been able to self-educate these things that we didn’t learn at school, or if you didn’t go to school or further education, and you don’t get those skillsets at work because you’re freelancing and just doing your own thing, you’ve got someone there that can help you out. The amount of things that I’ve learned over the past two-and-a-half, three years, like being more tech savvy, being more business-minded, it’s been brilliant and I’m so happy that I’ve learned it from these great women. They have patience. You started off as Boiler Room FC, and now you’re Romance FC. Why did it change, and what does the new name mean to you? As the team started expanding, it wasn’t just 20 players anymore — We’re now at like 40+, 50 players. Not everybody comes to training sessions, but everyone still engages. And, [there are] less of the original team members, probably about five of us. In my mind, I just wanted the team to feel like it belonged to everybody, and that meant that everybody had to have a say in the naming process. Last June we all went to Paris for this tournament we’ve been playing in for the past couple of years called the Paris International Tournament. It was the time that most of our players were going to be together, so we decided to give everyone the challenge of coming up with three names. We were all in our friend Tiger’s office and everyone had a sticky note. Two of our team members had whispered, Well what about Team Romance? I was like, I like it, but maybe if we just drop the Team and just had Romance FC? It just fit perfect with our journey as a team, our relationship with each other, and our relationship with the game itself. It was kind of a perfect match. You touched on the challenges of getting space to practice, but are there any other challenges that you face as a collective? Yeah. When you’re someone of interest and a lot of people want to collaborate with you or do projects with you, there’s always been that excuse of exposure. There is no budget, but it’s great exposure. My response is: I can’t eat exposure. It doesn’t put food on my table. We’ve always respected ourselves not to jeopardize our integrity, and to speak up and to let people know our worth. We’re not just this niche team that’s ticking boxes, these are individuals that do these roles as a living. We’re constantly challenging companies and making them think out of the box. We don’t claim to be this team of diversity because we’re from all different backgrounds. That’s just us, and that’s how we’ve all come together. I have to think about our reputation and how our players are going to feel about being asked to do certain things to fill a script write. It’s important for us to make people think bigger, because that’s the only way that things are going to change. I will pull away from things and suggest to involve another team for something, who are doing great things, because it’s about making the game inclusive, bigger, and shining the light on others who are doing just-as-great things. Let’s talk about the Nike collaboration. How did it come about? We’ve had a close relationship with Nike from the early days of when we started as a team. We’d been meeting with them about the new design of a women’s football training kit because it didn’t actually exist. We were still be buying men’s football shorts, football tops, football boots, and there was actually not any women’s football apparel. We’d met them on the design side of that and gave our feedback on what’s working, what’s not working, and what [they] need to change. Like, Let’s actually start thinking about the woman’s body. Where’s the most self conscious part? If that’s where it is, then why are you making things super tight and super revealing in that area? It’s great that they always listen to our insight. At the beginning of last year, I got approached by the Director of Nike Global Football in Portland saying that they would like to give us the opportunity to make our own kit for our team. And we had complete creative freedom. The only restriction we had was the actual cut of the top, because it was going to be the new women’s cut. So I met with the core people that run the collective with me: Aimee Capstick, the designer, Karoline Andersen who does a lot of our web and copy, and Tiger Reid, who works a lot on the business and production with me. One of my main things was to bring the fun back into football kits. As they’ve evolved over the past ten years, everything’s been stripped back — it’s all about the technical element of jerseys now, making them dry quicker, etc. So, we started referencing old ‘80s and ‘90s football kits: great patterns, geometric shapes, and bold colors. Aimee started working her magic and came up with some great mockups. We wanted color, but what you have to think about is: Will this color suit all complexions, all hair colors? Originally, the color was going to be a black-grey and a white hue in the same pattern, and then the goalie top was going to be in the pink and the purple. But then we were like, No, the fun needs to be on the out field as well. It’s always the goalie tops that were the ones that stood out, but I wanted the out players to stand out as well. This was all taken from the inspiration of the sunset in Hackney Downs — sunset and chemtrails, should I say, of city life. You would get those purples and oranges and blues, and for the goalkeeper it was the green of the grass. It reflected the whole personality, the whole essence of what the team are about. It was kind of crazy. We had done it, and received the samples at the end of last year. Then, that’s when they had announced that they wanted to include it in their new collaboration project—their Nike By You [campaign], and that we were going to be one of the first three collectives. Us being the only female collective, and it was a women’s top, was a huge milestone. I just couldn’t believe it when it was just there on the Nike site for people to be able to buy. The feedback that we got—just how impressed people were— it was amazing. What does the collaboration mean for Romance FC, in the larger scheme of things... your vision, your mission? Hopefully actually launching our own merch line. We’ve already been planning and mocking up a few designs that a couple of the graphic designers are keen to get involved in, and that we want them to be involved in as well. It’s not necessarily football-related, but just something of our own. They make great graphics and caricatures and type. We’re like, Why not? Why don’t we just make that tote bag? Why don’t we just make that t-shirt? Why don’t we just produce those socks? All those things that we get excited about and that we like wearing —t makes sense that we should start investing in ourselves. And also, for us to be able to pay each other as well. You mentioned making your own merch, but are there any other goals for the future of Romance FC? We want to take it outside of London, to cities that don’t have the opportunities that London has, or that wide scope of collective inclusivity. I played in a tournament in New York a couple of years ago—the adidas Fanatics Cup. It’s a mixed tournament, and it’s one of those tournaments with a niche, like a team of seven males and two of the players have to women. I’m like Well, why aren’t we doing this where it’s all female teams? Or, why don’t we just have female teams with two niche male players? After speaking to some of the women out there and scoping out what the reach is for women’s grassroots football, [they told me] that it’s just not really a thing. You play at the professional level at the same time, or you just knock around with the guys. Nah, that’s got to change. There are some phenomenal players, and a lot of the players were outdoing the guys.